We offer five cozy lounges ideal for holding any type of work meeting or get-together. They are comfortable rooms with all the services necessary to make any celebration or event a success. The wide range of ambiences means you can select the most suitable one for each type of event or occasion. The lounges of the Hotel Meninas provide you with special intimacy for executive meetings, or commercial events. We offer a carefully designed restaurant service for work meetings in the private dining rooms; and we serve coffee breaks in the meeting room or in our “Café Meninas” with its impressive crystal dome, open to the sky light, and looked after by our thorough waiter and catering services. 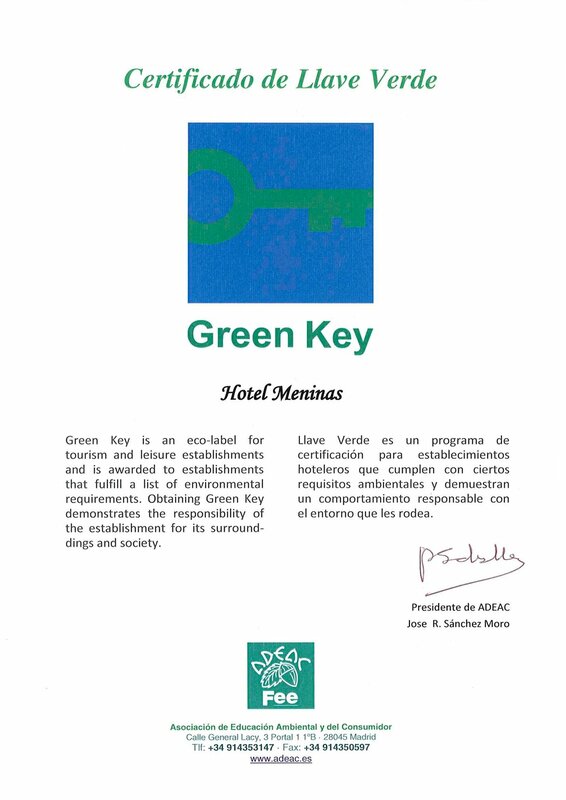 Summing up, the Hotel Meninas offers careful planning and provides all the technical and human resources necessary in order to guarantee the success of any event.